This month’s Design Style Guide looks at Coastal – a breezy ocean style that brings to mind Caribbean colors, fruity drinks, and toes in the sand. This is a style all its own, nothing like the Nautical style typical of the Northeast. Read on to learn all about this relaxed look. Definition Coastal style is the bright and breezy style that is popular along the Atlantic seaboard (south of New England) and the coasts of Florida, including the Keys. It is commonly used in vacation homes to create a welcoming, relaxed feel. Bright colors combine with weathered woods and ocean-inspired decor. History The elements of this design began to pop up in Florida homes in the early 90’s. Since then, Coastal has continued to develop and evolve from a somewhat kitschy look into a put-together, comfortable style. Spot the Style Where Nautical is the upscale, polished style of the Northeast, Coastal style represents the “on island time,” laid back, comfortable style of the Southeast. Think Jimmy Buffett and the Florida Keys. Colors are bright and bold – turquoise blue, sea glass green, coral pink, pure white, and sand beige. Coastal decor features starfish, shells, sand dollars, distressed wood and lots of wicker furniture. 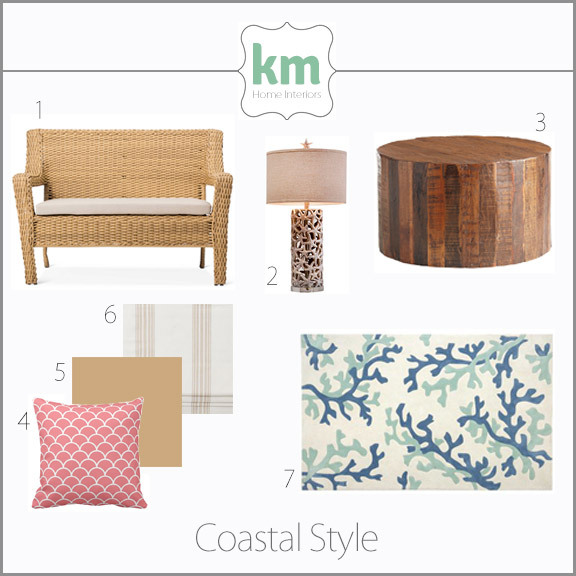 Far from tacky, Coastal is a warm, welcoming style that is perfect for summer cottages in the south. Notables Mimi McMakin, founder of Kemble Interiors, has been creating classy yet whimsical Coastal interiors for over four decades. 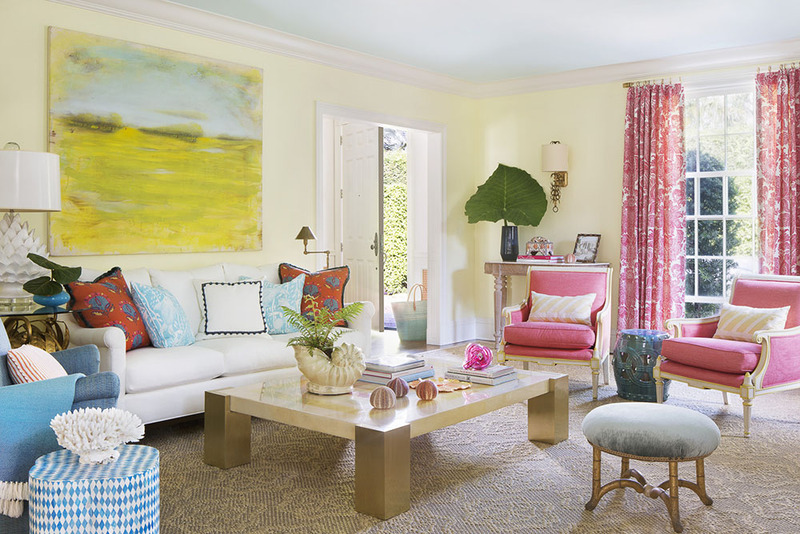 She’s an expert at incorporating coastal colors like coral and turquoise with upscale, traditional furniture. 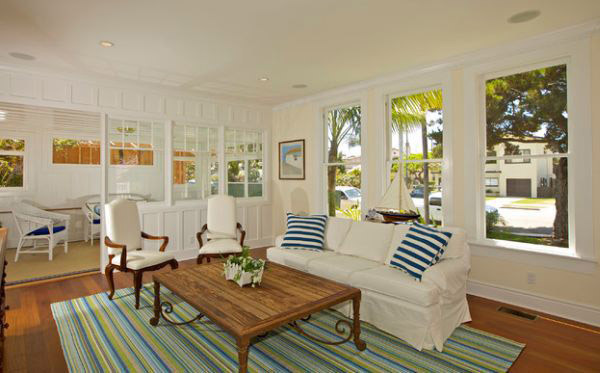 Her Palm Beach Cottage project, with its palm leaf and coral accent pieces, shows how stylish Coastal can be.